We pretty much know the ins and outs about sadness and despair on this site. When we’re not writing about metal and secretly trying to turn into a quasi-pro wrestling site, we’re immersing ourselves in outright darkness and thick rivers and dark emotions. It’s kind of what happens when you have a lifelong battle with mental illness. That surfaces again now that we have “Heart of Lead,” the first record from Icelandic metal duo Kaleikr to discuss. The seven tracks on this fascinating, wholly progressive and perplexing (in a good way) album dig into sadness and follow that journey down its darkest tunnels into despair before everything devolves into total mental devastation. For anyone who ever has taken that awful journey probably will feel something in the pit of their chests right away as the mental imprint from that experience always pulls you back inside. It’s sort of an odd topic for a record that’s so fascinating and punishing, music that makes your mind do weird tricks and sends you on a trip that feels like it’s going somewhere other than pain. Nonetheless, that’s where we go, and if the lyrical content isn’t something with which you can relate, their spellbinding twist of black and death metal surely will. 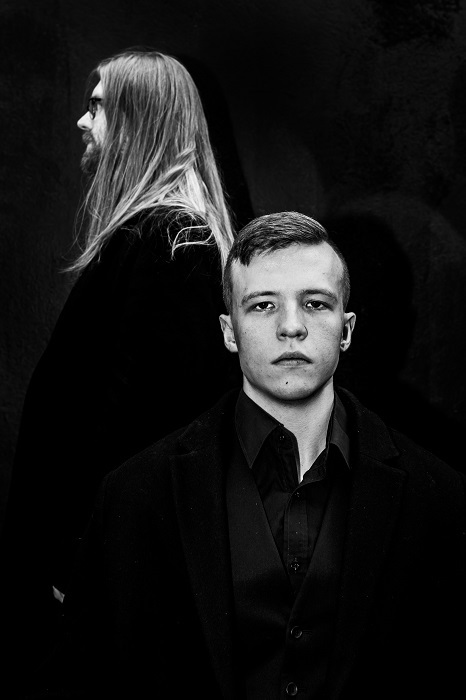 The band—Maximilian Klimko (guitars, bass, vocals, arrangements) and Kjartan Harðarson (drums and percussion)—grew out of the remnants of Draugsol, taking their music into even more daring corners. “Behold at Sunrise” starts in a synth fog before the drums open up the song in earnest, and the growls roar and surge. The track rumbles the earth beneath you, while later on, the band adds some different colors in for texture, while you still can’t help but shake feeling the world is imploding. Deep roars crush as sounds well, with the track dissolving into noise. “The Descent” has a chunky, punchy start, feeling proggy while the drums demolish everything. The guitars mesmerize amid harsh growls, and the punishing fury later gives way for a jaunt into space. Out of that, the savagery returns, as the music slaughters the senses, and melody slips beneath the carnage and brings on a deadly finish. “Of Unbearable Longing” has a much different beginning, wallowing in somber, jazzy vibes before the song is shredded, and crazed devastation is afoot. Later on, stardust rains down and plays with the mind before the volcano erupts again, spewing hell and fire everywhere before finally coming to rest. “Internal Contradiction” throws a curveball with its muddy pace and downtuned guitars before furious riffs arrive, and everything melts beneath you. Chunky crushing pushes in, as the music stomps and swirls, sounds float, and everything disappear into murky strings. “Neurodelirium” begins with guitars churning and lurching growls before it splits open melodically. The vocals remain monstrous, as psychedelic guitars give the track a different spirit, thrashing into a cosmic aura. Later on, the track takes on more of a rock feel, surging forcefully before coming to a strange ending. The title track delivers dizzying clean guitars and a trippy mood, as the bass rivets and the vocals are delivered in whispers. Later on, the violence arrives, as the growls corrode, the deathly push has a doomy belly, and the album burns closed. 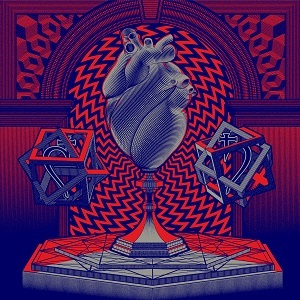 The album ends on “Eternal Stalemate and a Never-Ending Sunset” that begins with a calculated mauling, hulking into the scene and driving toward rock-style guitar work. The riffs cut and leave bruising while the vocals turn ugly in a hurry, and the final minute unleashes intense playing and a finish that ends in a vortex of whirring noise. The first record from Kaleikr is one that makes the Icelandic scene even richer with strong material, and it’s one of the most intriguing to come out so far in this very young year. “Heart of Lead” also packs an emotional punch that digs at very human issues that affect so many of us and that often are hard to overcome. Luckily, the music is daring and exciting, which can help ease some of that heavy burden, and it’s a great first shot from a new band that should have an expansive future.